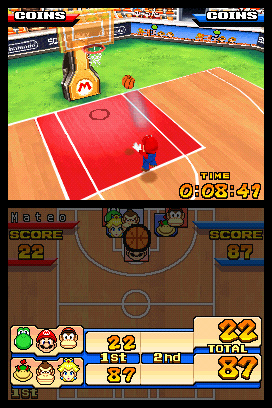 It's a whole new ball game as Mario rocks the rim! 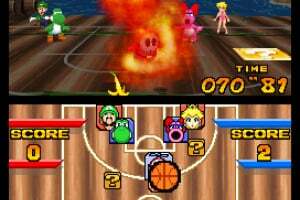 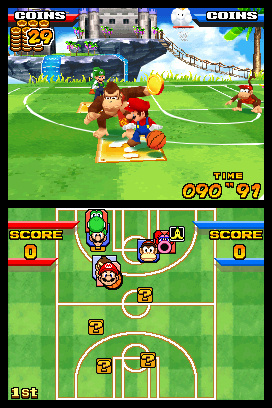 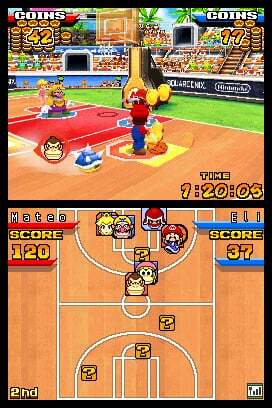 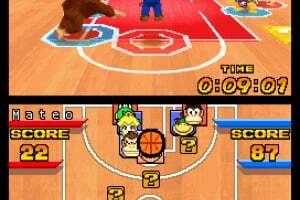 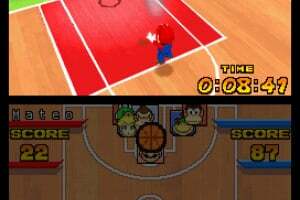 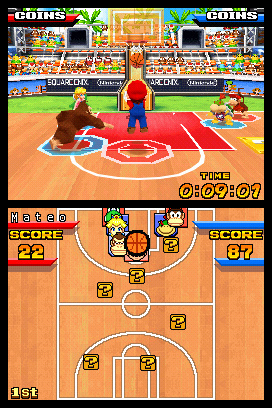 There are plenty of basketball games out there, but none with the hands-on control of Mario Slam Basketball. 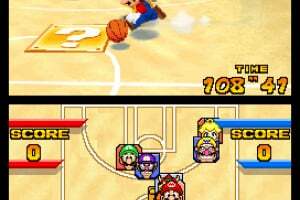 Players use the touch screen to get their game on as they execute tricky dribbles, special passes and sweet shots – all with strokes and taps of the stylus. 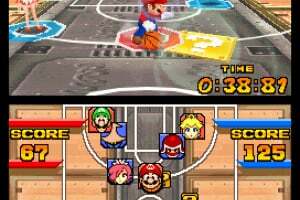 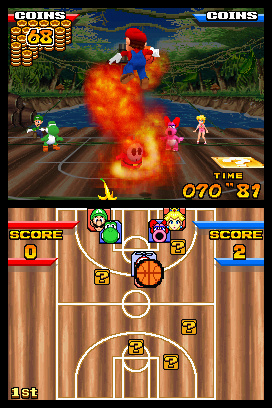 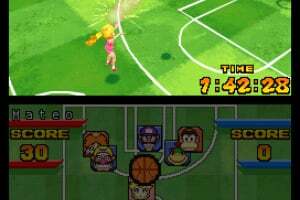 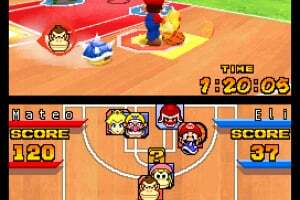 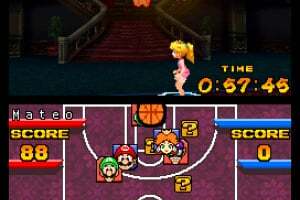 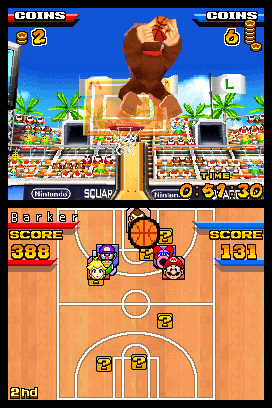 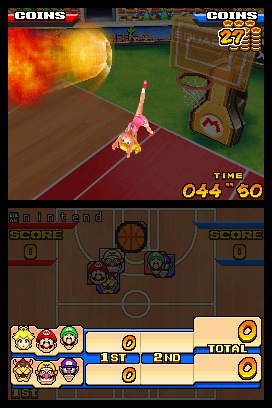 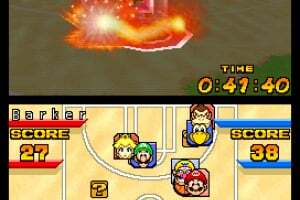 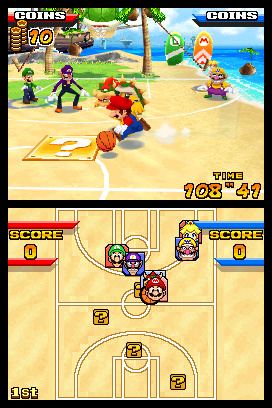 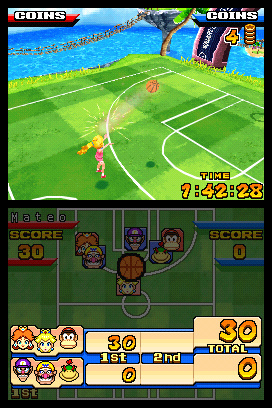 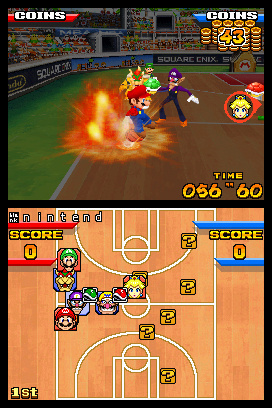 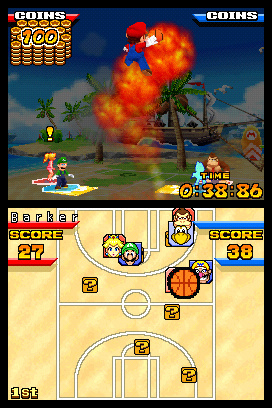 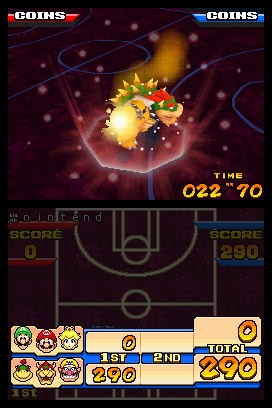 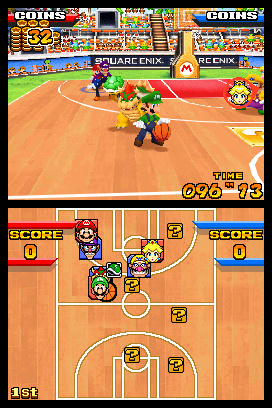 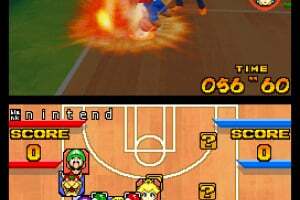 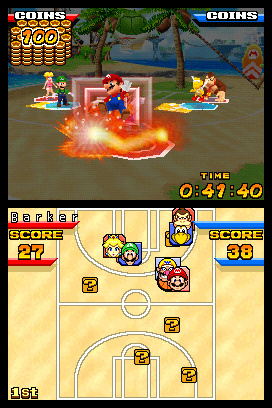 Players choose their teams of three characters from the Mario universe and hit the parquet. 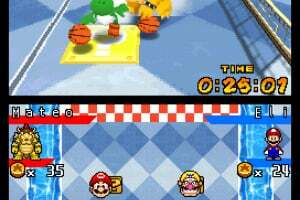 Power-ups like Red Shells and Bob-ombs can turn the tide as they chase down coins – they will affect the score, so players collect as many as they can as they drive to the hoop. 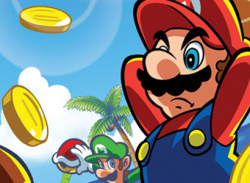 Being a Nintendo fanboy since the NES, you know I'm gunna have some fondness for the red plumber. 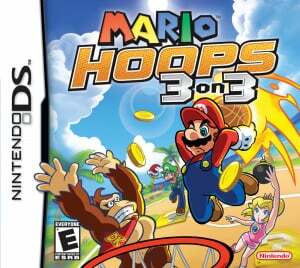 I have to try every new Mario game that comes out. 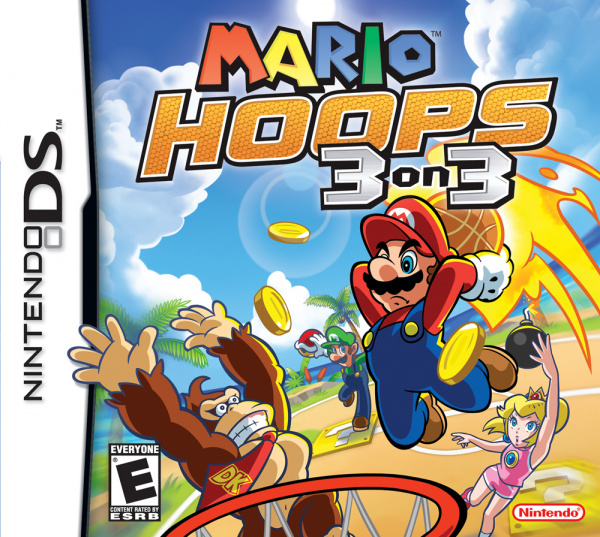 Sometimes the games are fantastic like Super Mario Sunshine, and sometimes the game is all hype and no delivery, such as New Super Mario Bros. 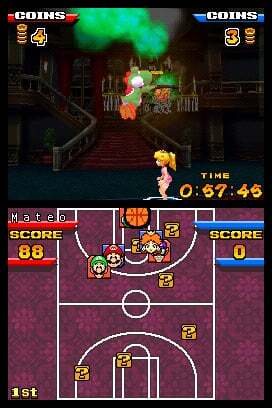 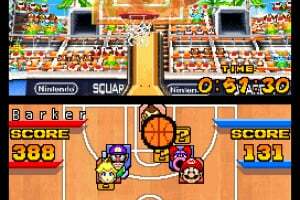 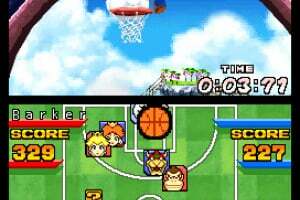 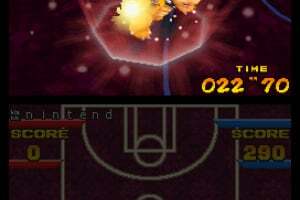 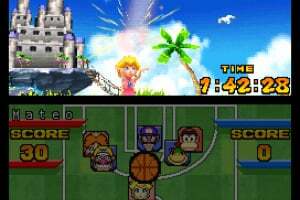 But when Nintendo let Square Enix take over Super Mario Hoops 3 on 3, they struck gold. 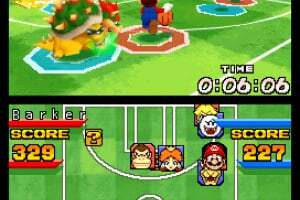 The graphics are beautiful! 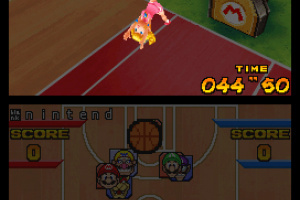 I mean absolutely stunning. 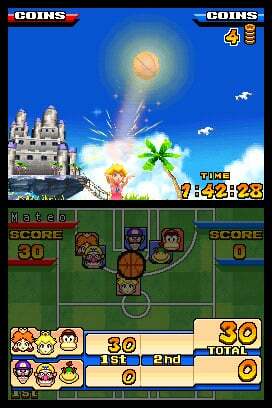 This could easily be a Gamecube game based on visuals. 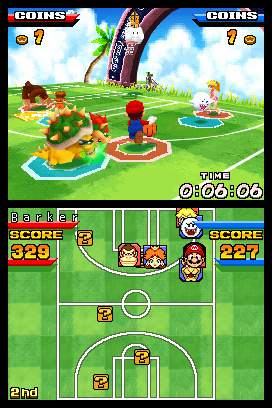 There is a wide variety of Mushroom Kingdom characters to choose from, and of course some Final Fantasy ones (it WAS made by Square Enix, y'know). 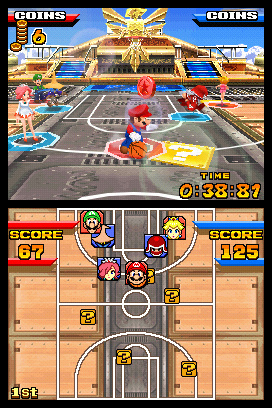 Everyone has special moves that push the hardware to its limits. 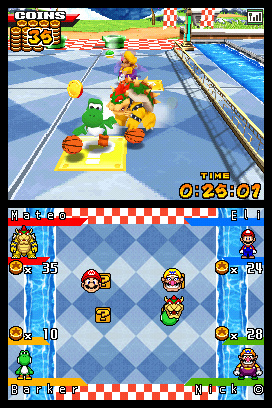 Seriously, if you haven't realized it by now, this game is beautiful. 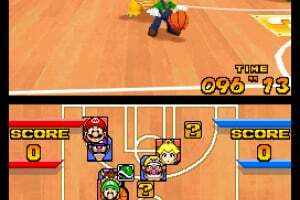 The touch screen controls are extremely responsive and give you the feeling your actually bouncing the ball with your stylus. 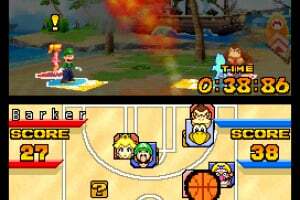 The stages are also very well thought out, and many include various hazards you must look out for. 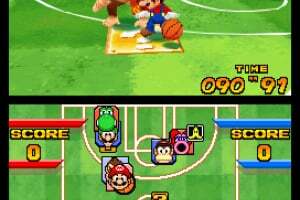 For example, on one level you have to look out for flying cheep cheeps, and on another level you can't make long shots sometimes on account of the ghosts cluttering the air. 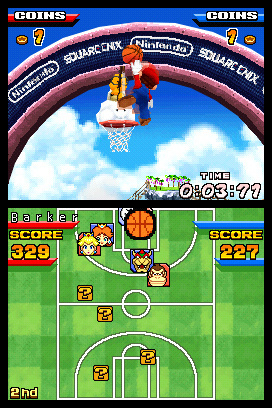 The amount of variety in this game is very nice.